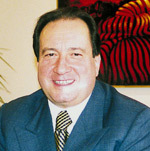 25 July 2010: In an interview with City Mayors, Latin American security expert and judicial Argentinean reformer, Carlos Arslanian, who is known for his progressive ideas for overcoming security threats in Latin American cities, described ‘zero tolerance’ and ‘tough on crime’ measures as total failures. “They’ve created a symbolic criminal law system, a criminal law system that fools citizens or utilizes the collective idea that with strong penalties we solve the problems,” he said. Dr. Arslanian is considered by international human rights experts on the region to be a man of high moral stature. He is famous for the part he played in 1985 as President of the Federal Criminal Court of Appeals, which judged, and condemned, the leaders of the military regime that ruled Argentina from 1976 to 1983 for violations of human rights. In 1998 he was designated the President of the “Instituto de Política Criminal y Seguridad”  the Institute of Criminal Politics and Security  in the Province of Buenos Aires, and later became its Minister of Justice and Security. In 1991 Dr. Arslanian was appointed Under Secretary of Justice and two months later, Secretary of Justice. The former judge is a permanent adviser to the Argentine House Committee on Public Security. Prior to his public appointment, he served in 2004 as the Secretary of Homeland Security of the province of Buenos Aires until the end of his mandate in 2007. During that time he promoted radical reforms within the police forces of Buenos Aires, and among other progressive reforms he created the “Buenos Aires Police 2” and the “911 emergency services”. City Mayors: What would be a common problem on public security that most of the big cities in Latin America share today (for example, Buenos Aires, Bogota, Sao Paolo, Rio de Janeiro, Mexico City)? Carlos Arslanian: The common problem is the increased demand for safety by their citizens, particularly in relation to violence-related crimes, but the worst problem in Latin American cities is to do with the centralization of criminal law resources. The process of reform of security matters in cities across the region has to be related to handing over progressively to political leaders the responsibility of leading efforts against local insecurity. This will allow all municipalities to resolve or face these problems by themselves. City Mayors: In your recent initiative in Buenos Aires, you talked of a new paradigm in security. How does this idea apply to other cities in the region? Carlos Arslanian: The new paradigm is to have a more wide-open approach to solving security problems that is not focused solely on the criminal law functions of police, courts, penitentiaries, and law enforcement, which usually play an active role after the event. We need instead to work on the origins, causes, the whole aetiology of violence in our cities. In order to do this we must incorporate a transversal approach that empowers and brings into the problem-solving scheme not only the criminal law institutions but first and foremost those institutions that have to deal with social policy (such as public health, human development, infrastructure, education, labour, economic development) and altogether concentrate on reducing rising crime rates. We need to fight against the social exclusion phenomenon  inequality, iniquity, poverty. These are the main sources of violence that sooner or later will transfer into criminal acts. The strategy is to work on prevention, to integrate these prevention programs into the criminal law agencies and finally to activate NGOs and neighbours’ associations into forming a program that will be heard by the proper authorities. City Mayors: How does one fight the embedded corruption that exists in police forces in our Latin American cities? Carlos Arslanian: First of all, this is a matter of political decisiveness. Secondly, we must break the “policy of spurious agreements” between the political powers and their police forces. Political power must not “make agreements” with the police. It must “govern” the police. The autonomization processes of police governance are one of the worst diseases in Latin America. What is key to fighting police corruption is to prevent the police forces from governing themselves. City Mayors: What was your first action when you were in charge of the Buenos Aires police? 3) teaching the police a strong course in values, deontology of ethics and human rights, because one of the greatest problems in Latin America is its institutional violence. We also integrated the police academy with our own public universities, so the policeman shared classrooms with common college students. Some authorities tend to isolate, to divorce the police from the community. On the contrary, we need to work to integrate them. 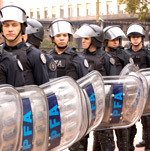 Finally, a key element of the reforms to Buenos Aires police was to create a participatory mechanism on security matters. We created a public security law that recognized individual rights and groups of neighbours’ associations so that they can request and propose ideas to improve their security under the umbrella of accountability of the police forces. After we applied these integration measures we ended decades of the force being referred to as “La maldita Policia”  “The damn police”. City Mayors: Do you see any retreat on these important reforms in the current Buenos Aires police force? Carlos Arslanian: Yes. Sadly, we are going backwards on the reforms we made. These reforms have been progressively set aside and this means a greater risk to going back to the past. That is why my foundation, together with other organizations such as the Centro de Estudios Legales y Sociales (Center of Legal and Social studies), with human rights organizations and political parties, has created a political consensus of 10 points that we agree on what should not be done to avoid going backwards on these reforms. We named this: “Agreement for the Democratic Security. My greatest concern is the decomposition of the political forces, the increase in institutional violence, the increase of torture, bad police practices, corruption expressed in collecting money, or freed zones in order to commit crimes and many other expressions of crime. I’m also concerned that due to inefficiency and corruption, the Buenos Aires police ended regulating criminal activities. City Mayors: What is your opinion on “Zero tolerance” or “tough on crime” measures applied in Latin American cities? Carlos Arslanian: They are a total failure. They’ve created a symbolic criminal law system, a criminal law system that fools citizens or utilizes the collective idea that with strong penalties we solve the problems. On the contrary, these measures have created a more rigid criminal law system with long delays in the judicial process with more unsentenced prisoners in overcrowded jails. City Mayors: Do European mayors have anything to learn on public security from Latin American cities? Carlos Arslanian: The advance made by some European cities on these matters is precisely a result of, among other things, a better economic and social order. These have shown that they have less to worry about on public security in comparison with cities in developing countries. However, what I believe to be a problem for some mayors in Europe is the increasing tension between the inclusion of migrants and xenophobic tendencies from some groups as a result of crimes committed by some migrants who are not yet included in their societies. What a mayor should do in that respect and learn from some Latin American cities is how to deal with social tension within marginal groups coming from other countries. Secondly, there are some experiences such as observatories of crime and violence, such as those created in Colombia that help to merge those state institutions with NGOs and civil society organizations that work with excluded groups. City Mayors: What would be the very first step on public security that any Latin American mayor must do once in office? Carlos Arslanian: First of all to organize mechanisms of citizen participation. To facilitate the common citizen or neighbour in organizing themselves through distinct forums or public discussions on security matters. These communitarian ideas of participation will allow the provision of some order to the discussion, to rationalize demand and to improve substantially relations with the police force. Furthermore, to generate a model of community police, which is a model of police organization that goes beyond the needs of a political regime. This model goes directly to fulfill the needs of citizens. Government and judicial corruption, organised crime and wholesale murder, all threaten Guatemala’s fragile democracy. While the country is feared to be on the verge of becoming a failed state, its young people are rising up in a fervour they have never before displayed in its history. He was brutally killed as he enjoyed a Sunday cycle ride just a few blocks from his home. The next day, outraged youth groups distributed the video worldwide, demonstrating a new and unprecedented participation in democracy and justice. Wasting no (cybernetic) time, they started forwarding the video across the world and then organised groups through FACEBOOK, text messages and chatting, daily urging that justice should prevail under the rule of law, and to fight without violence for a new Guatemala.